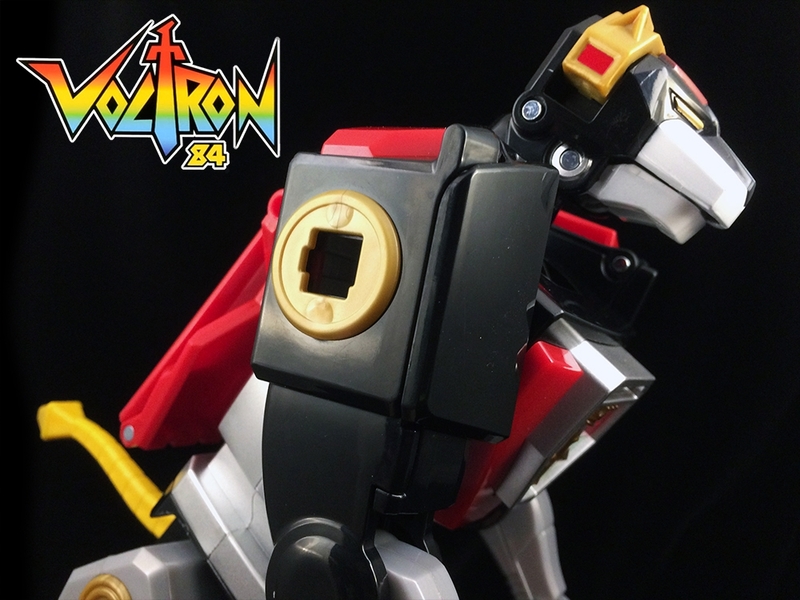 Today we’re looking at the last of the Voltron Classic 84 Lions, The Black Lion! This one comes in at the Deluxe price point and has some added features the other Lions didn’t have. 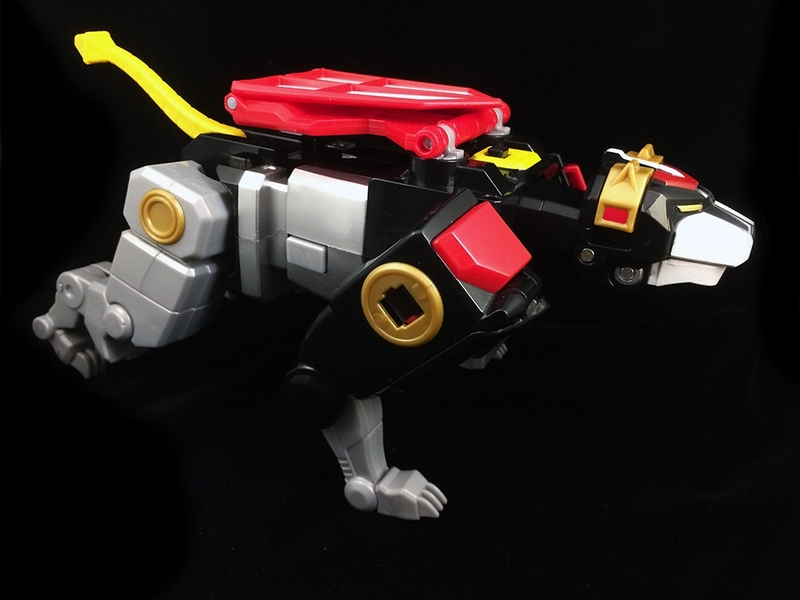 The Black Lion comes boxed instead of on a blister card like the other lions. 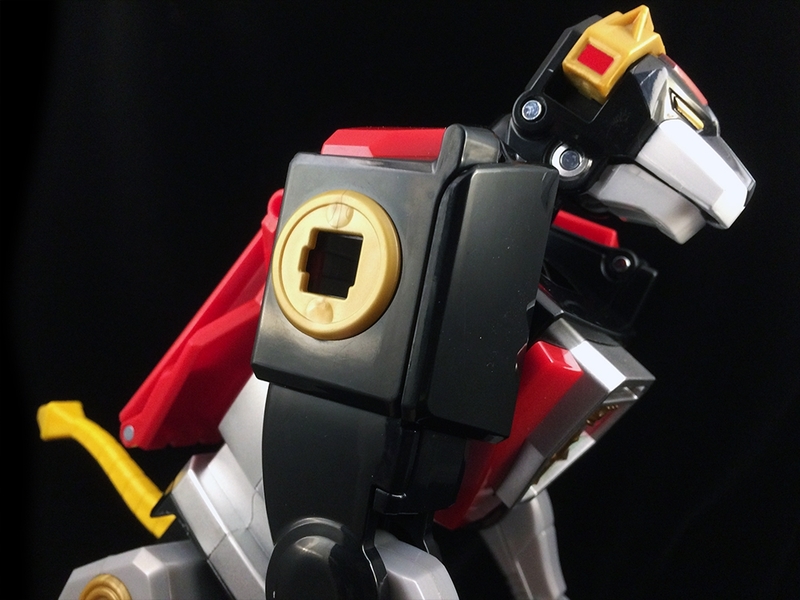 The lion itself has a boxy appearance but that is probably due to it having to become Voltron’s body. The legs have a good amount of articulation to give it a nice standing pose. Even with more articulation points in the rear legs than any other lions, the Black Lion doesn’t appear to be able to attain a sitting pose. Really the only way to pull off a sitting pose for any pictures is with the use of creative cropping. This picture of the Black Lion only looks like he’s sitting, what you can’t see is the hand holding one of the legs just out of frame. The head has a great range of motion! I assume this is due to it also being Voltron’s head. It can swivel up and down at the neck, but the neck itself can also move up and down slightly extending that range. There’s also a swivel cut in the neck to allow the head to spin completely around. 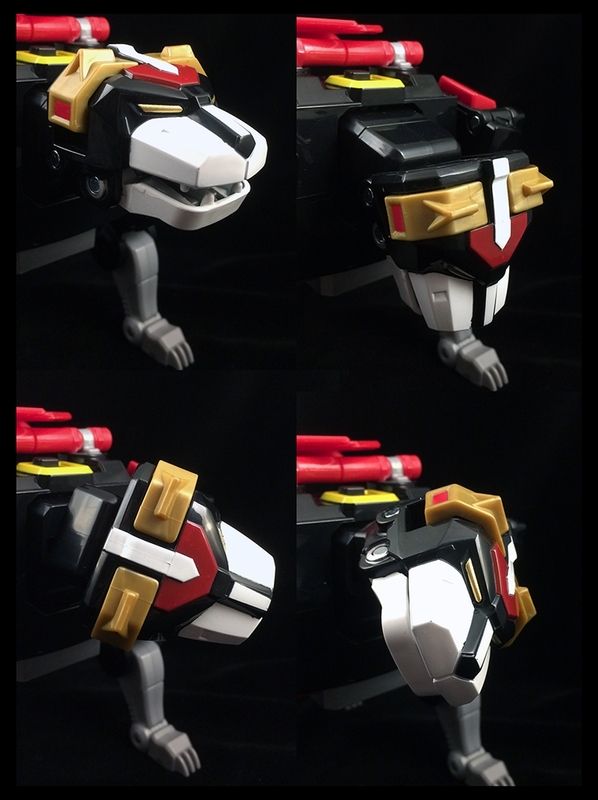 Add in the opening jaw and you have the most articulated lion’s head out of all of these Voltron Classic Lions! 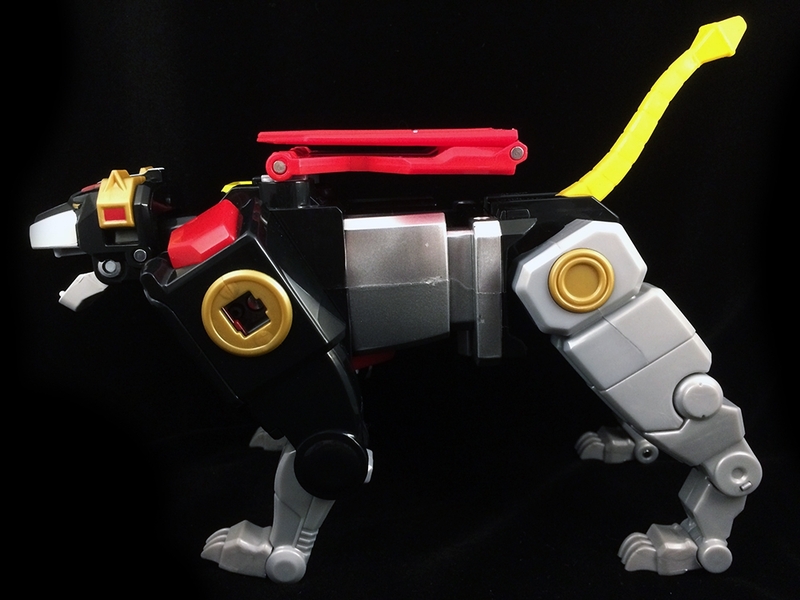 Speaking of Voltron, I love how the Black Lion’s front legs can be folded into the body when forming Voltron. It’s similar to how the old Panosh Place one would transform but is less noticeable. 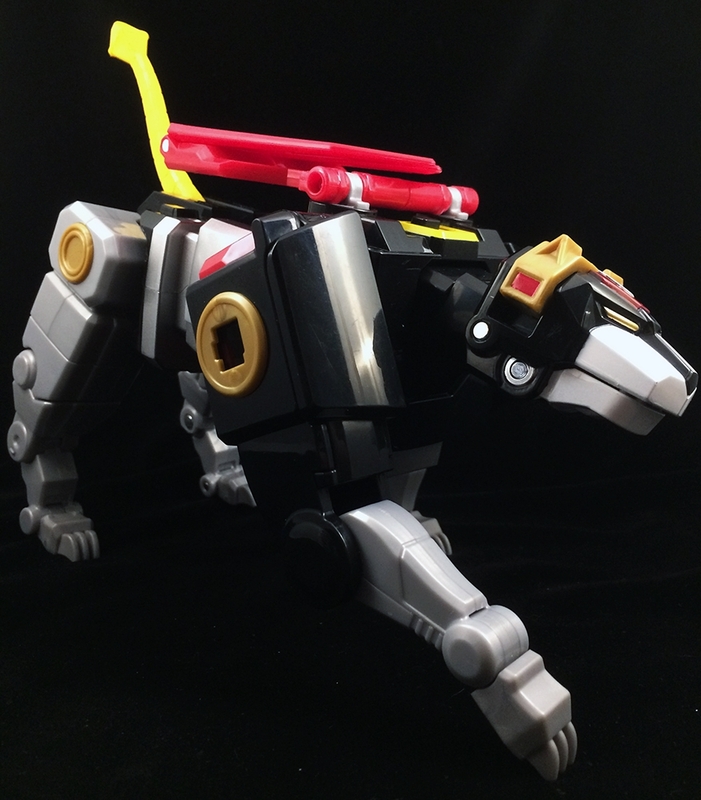 Getting back to the Black Lion, You’ll notice that he doesn’t come with any weapons, but costs almost double what the other lions cost. Well for one, he’s bigger, but the main reason is he has electronic lights and sounds. 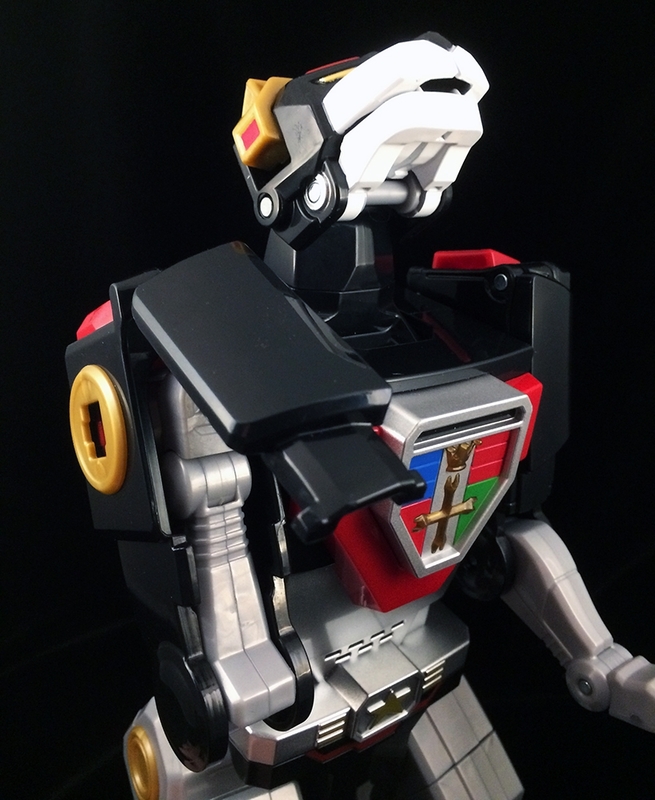 With a press of a button on the side of the Black Lion, you can activate his Cross Beam. This makes the cross on his chest light up and you’ll hear one of over 60 sounds. The sounds can be anything from a laser blast or lion roar to a spoken phrase like “Haggar’s Robeast is about to have a bad day!” All of the spoken phrases sound like it’s Keith. I don’t know if they reused lines from the cartoon, had an impersonator record lines or if they got Neil Ross to voice a few lines. Many of the sounds are cut down versions of longer sounds the Black Lion will play. For instance, There’s a bell sound, but I noticed that during the phrase “Activate Laser Blade” the same bell sound is at the end. Another example is one phrase says: “The galaxy is about to be secure, form Voltron!” while another phrase is just the “Form Voltron!” segment from the previous phrase. It’s kinda cool, but honestly, I’d be ok without any of the electronics in it. 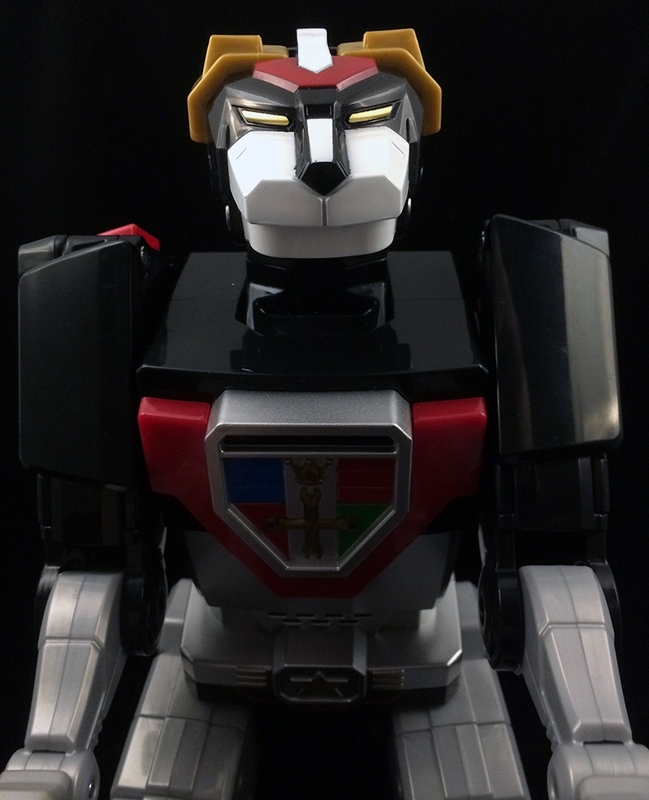 Although, if they could’ve made The Black Lion and Voltron’s eyes light up, I might be changing my tune. 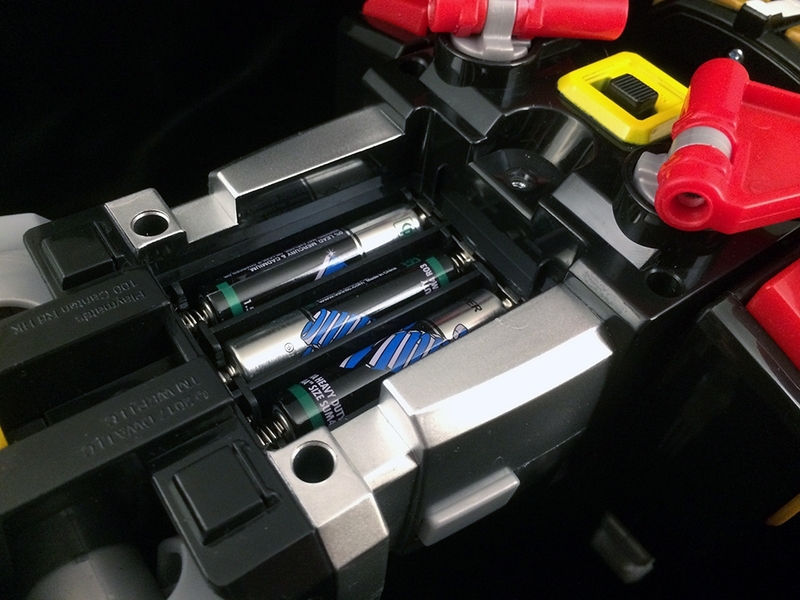 The Black Lion’s electronics uses 3 AAA batteries (which are included) The battery cover is on the back and requires a screwdriver to take off. 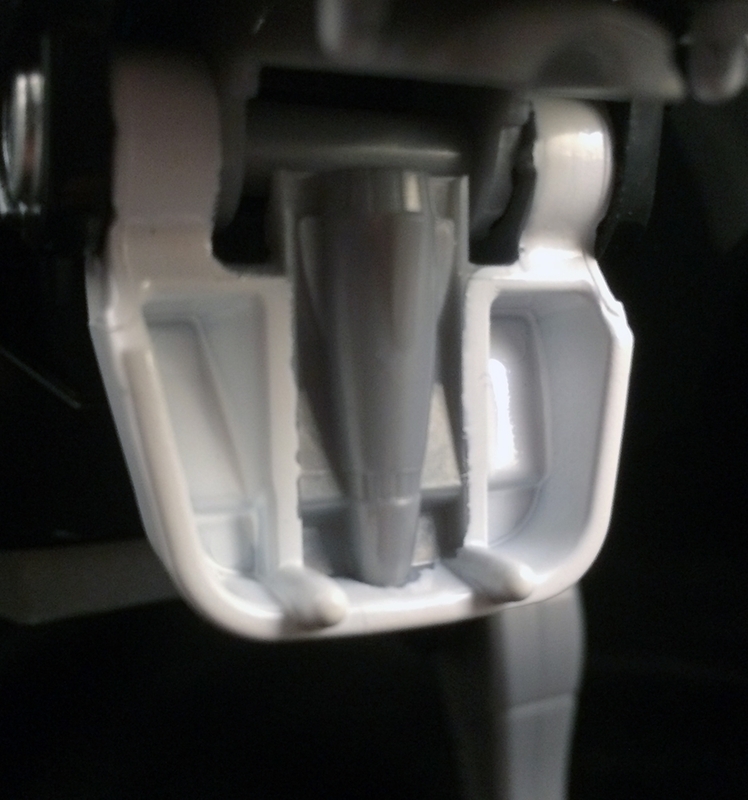 There’s also an on off switch above the battery compartment. 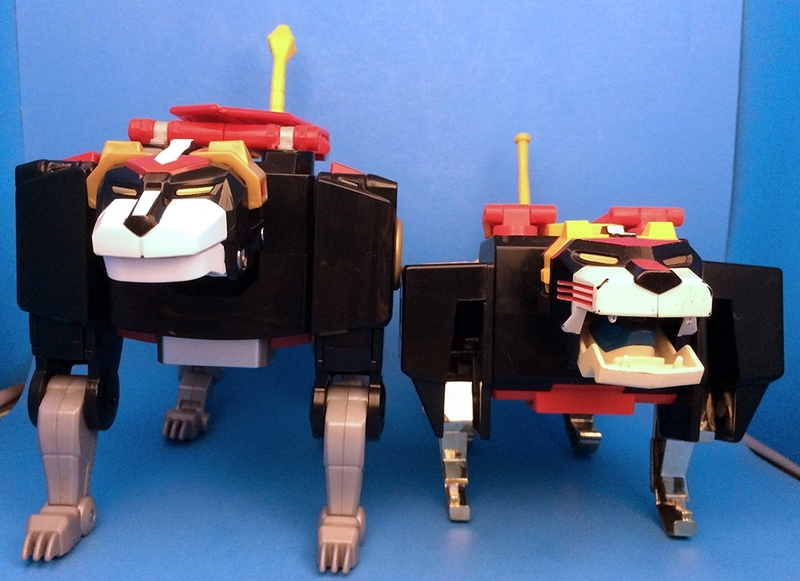 Comparing the Black Lion to the Panosh Place Black Lion, you can see that it’s larger. Both are kind of boxy, though the Panosh Place one is very rectangular. The Playmates version adds a bit more depth and form to the figure. 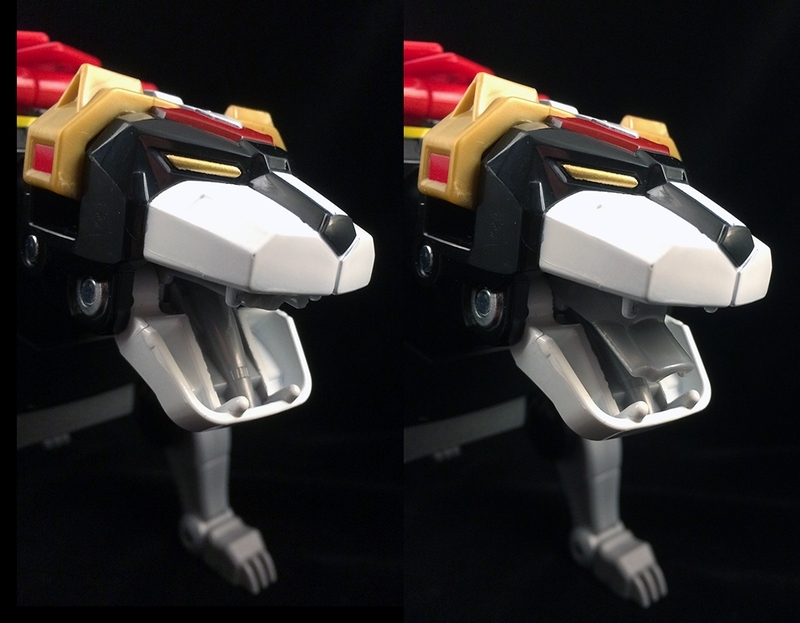 As with all of these comparisons, the lion legs are a super improvement over the old Panosh Place versions. 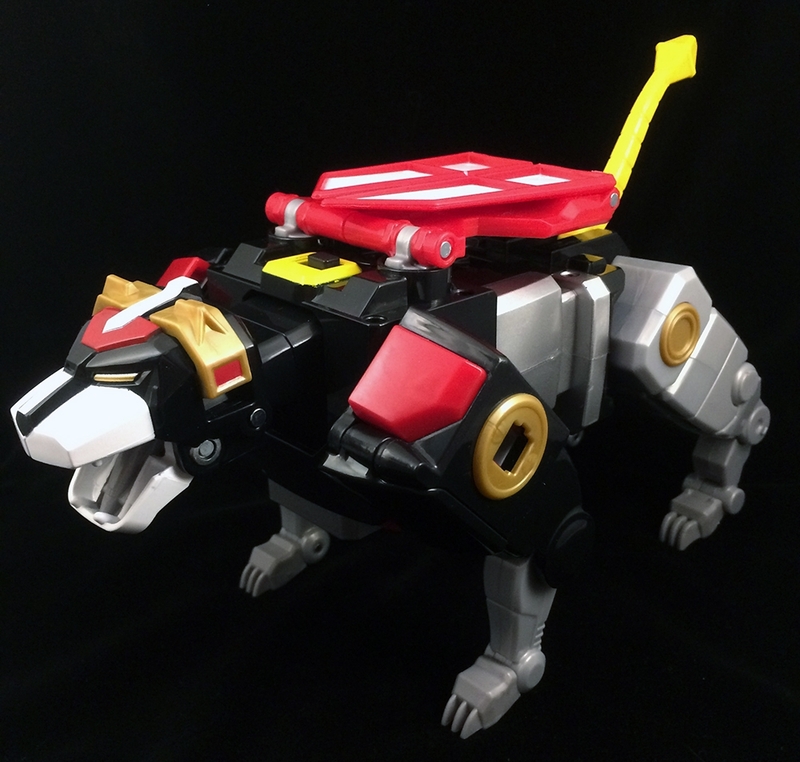 The Black Lion by itself is pretty cool, but really only works great when it’s Voltron’s body. The bulkiness of the Black Lion and the way it’s hips are made makes it mostly just pull off standing poses when in lion mode. The electronics are a cool touch, but aren’t really a selling point to me. I do like the Chest Beam though and would’ve liked light up eyes. 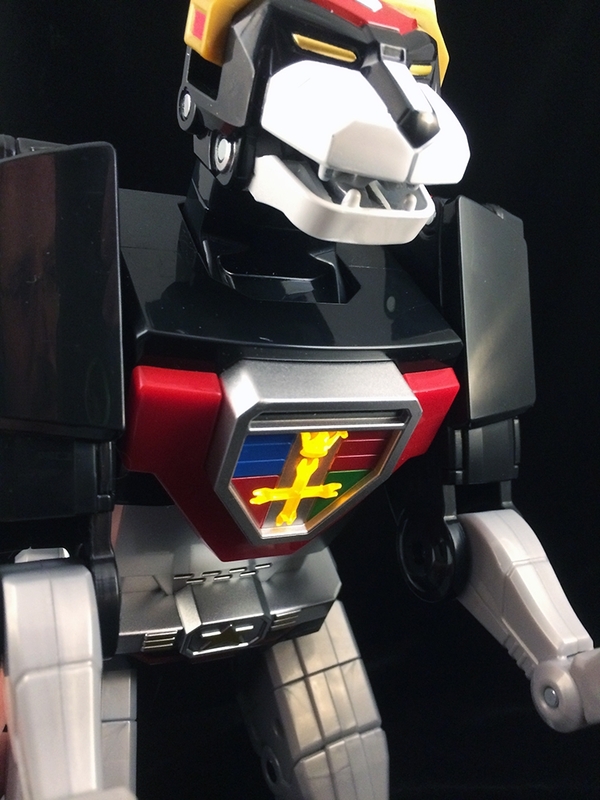 Join us for the next review when we form these five lions and take a look at VOLTRON, DEFENDER OF THE UNIVERSE!